Will you know where your assets are? 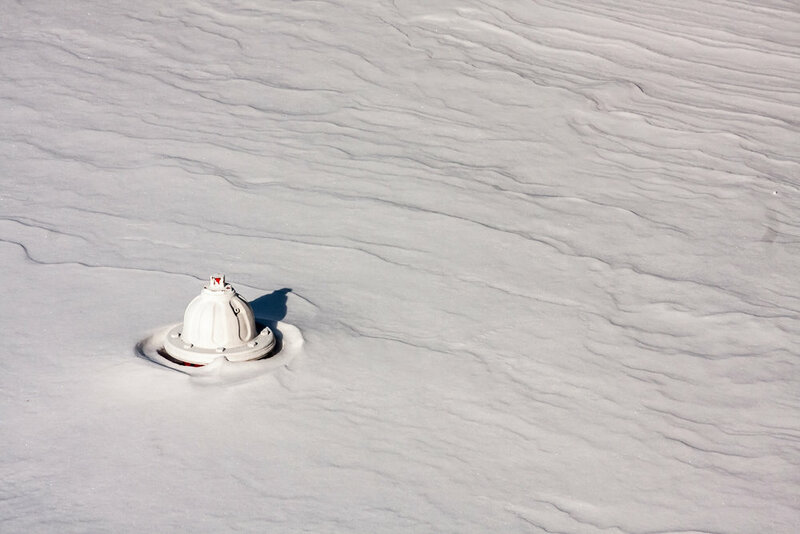 Unleash the power of mobile GIS to locate your assets even if they are beneath several feet of snow. Last winter, a powerful winter storm blanketed the area with over a foot of snow. The water system field crew, responding to a main break, encountered difficulty locating the nearest valve to isolate the break. The hidden valve was located in a park which was now a pristine field of white snow. Unable to pin point the exact location, the field crew spent eight hours with a backhoe digging in the snow to find the valve. While the maps the crew used to find the valve were accurate, they had trouble locating where they were on the map in the featureless snow field. The experience served the water system a harsh lesson in the value of asset mapping. Don’t let this happen to you. Liberate your GIS data through the use of web-enabled mobile applications. Transform your water/wastewater infrastructure data into an easy-to-use operations asset management system. SSM’s GIS Asset Management approach captures vital infrastructure data points with your system with survey-grade accuracy. The data is verified and compiled into a geo-spatial database. By creating customized mobile web applications, the data is accessible to you in the office, or in the field. Field-critical data, such as material description, installation date, inspection reports and service history, available at your finger-tips when you need it most.